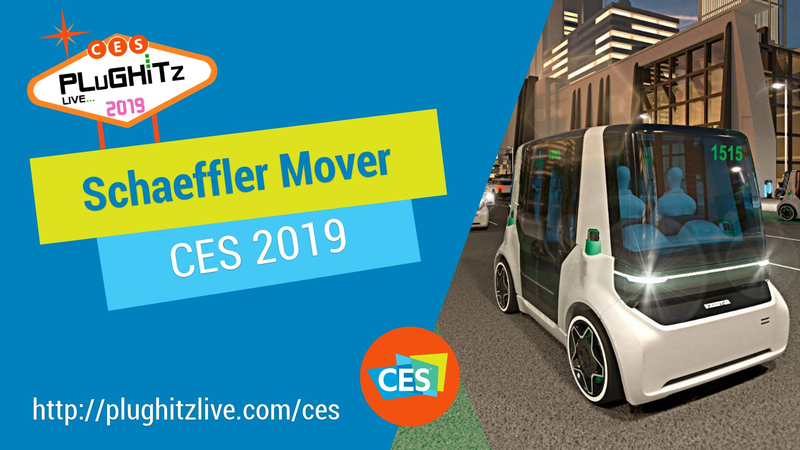 The Schaeffler Mover is a compact, urban vehicle platform that contains some impressive technical components. The most important being the Econo Modules on each corner that include a 90-degree steering system in the electric wheel hubs. These "Intelligent Corner Modules" allows for a high degree of maneuverability as well as room for a high degree of comfort for passengers. The platform offers an adaptable design that allows for a flexible implementation of different vehicle bodies. Although it is currently being displayed as a simple rigger platform, equipped with four seats, it can be outfitted as needed with, say, a passenger cabin or one for cargo. It is also currently outfitted with a joystick and a touchscreen for drivability. All steering commands are electric, which means in the next generations, it can easily be set up to function fully autonomously.